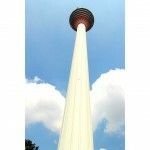 MENARA KUALA LUMPUR (Kuala Lumpur Tower) is the seventh tallest telecommunication tower in the world and the tallest in Southeast Asia. Standing at 421m and located in the heart of Kuala Lumpur, we offer a unique blend of Cultural, Adventure and Nature experience not found anywhere else in the world. Through exciting cultural events hosted at Menara Kuala Lumpur throughout the year and daily dose of traditional dances performed by our talented in-house cultural troupe, you can expect unforgettable Malaysian experience the moment you set foot at our entrance gate! 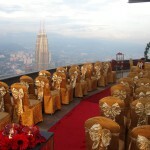 For those seeking Adventure and adrenalin-rush activities, Menara Kuala Lumpur is known as the World Basejump Centre. 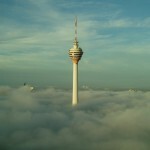 The Tower has hosted the longest-running urban BASE (Building, Antenna, Span, Earth) event since 1999 and it is now the largest event of its kind in the world. If that is too extreme for you, experience breathtaking views of Kuala Lumpur skyline at 276m above ground at the comfort of our Observation Deck. 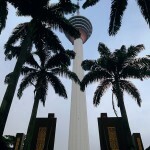 Menara Kuala Lumpur is located within Bukit Nanas Forest Reserve, one of the oldest forest reserves in the country – blending the Tower seamlessly with Nature. 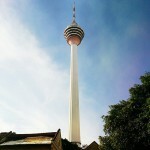 In fact Menara Kuala is the only tower in the world located within a forest! 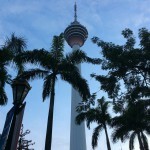 Even though Menara Kuala Lumpur was originally constructed to improve the quality of telecommunication and broadcasting transmission in the country, the Tower has become a significant landmark and symbol identifying Malaysia as a nation coming of age. Culture. Adventure. Nature. We wish to share it all with you!